King Srindra Varmana Kamboja�(??????? ??????? ???????? ??? 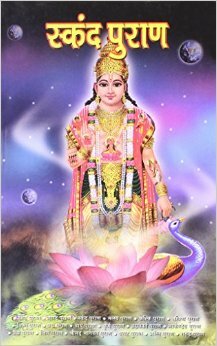 ?�) according to the Skanda Purana�(????? ????? ) was a king of the Kamboja Kingdom. Srindra Varmana is said to have installed the image of Varahadeva in his capital and made a gold throne for it. The kingdom of Kamboja of the Skanda Purana is said to have encompassed about ten lakh (=one million) villages and towns. This big number undoubtedly is a Puranic exaggeration, but, at least, it irrefragably establishes that ancient Kamboja country was indeed a considerable kingdom.
? Skanda Purana, I.ii.33; & I.iiu.2.17; Studies in Skanda Purana, 1978, p 59, A. B. L. Awasthi.
? Op cit., p 1, A. B. L. Awasthi.
? Studies in Skanda Purana, 1978, p 59, A. B. L. Awasthi; History of Punjab, Vol I, 1996, (editors) Dr L. M. Joshi, Dr Fauja Singh, Publication Bureau, Punjabi University Patiala; Cosmo. Geography, pp 100-101, D. C. Sircar; Geography of Ancient and Medieval India, 1971, p. 261; History of Mediaeval Hindu India, 1979, p 42, Chintaman Vinayak Vaidya; These Kamboja People, 1979, p 60, Kirpal Singh.
? Many scholasr including B. M. Barua, Dr Sudhakar Chattopadhyaya etc say that the Kamboja Mahajanapada extended from the Rajauri and Poonch Districts of Kashmir to�the eastern Afghanistan including Kaffirstan and in the north up to Badakhshan, beyond the Hindukush (See: Bimbisara to Ashoka: With an Appendix on the Later Mauryas, 1977, p 16, Sudhakar Chattopadhyaya; Ashoka and His Inscriptions, Pt. I, pp 99, 100, B. M. Barua; cf: The North-west India of the Second Century B.C.1974, p 39, Dr Mehta Vasishtha Dev Mohan).